Hybrid - 50% Sativa / 50% Indica - THC: 24.00% This is one among the phenotypes of the strain, 'Girl Scout Cookies'. This hybrid strain contains 'Durban Poison' and 'OG Kush'. This is another indica-dominant strain with THC percentage of 28%. This is the winner of third place in the '2014 Seattle Cannabis Cup'. The buds of this plant are found to be denser and are appearing in green color with traces of purple color. There is a thick layer of crystals all over. The strain gives off a sweet and minty aroma thereby giving the complete meaning of its name. Similar to the aromas, the flavors of this strain are also found to be minty and sweet. 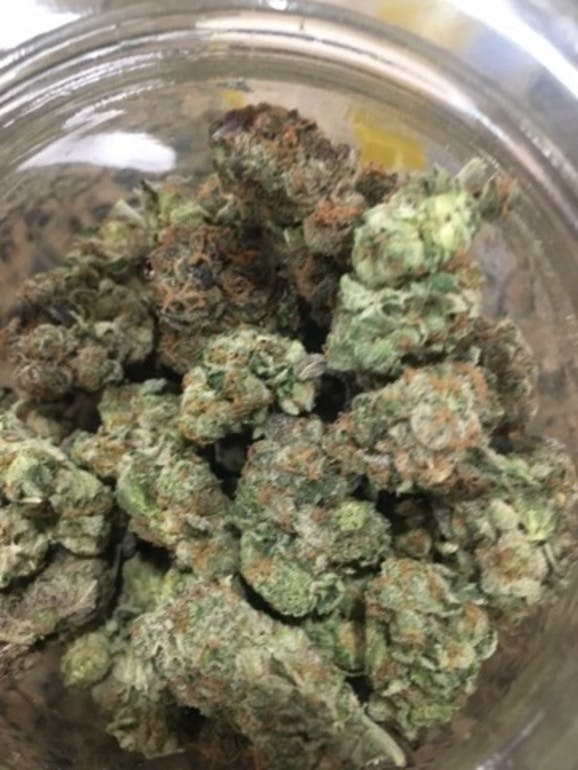 Having got the powers of both indica and sativa strains from the ancestors, this strain is able to provide a whole body effect thereby providing the strain with the exceptional fame. As this strain is known to give higher psycho-activity, this is not advised for the beginners. Thin Mint is known to be effective for the symptoms of pain, sleep disorders, loss of appetite, nausea and swelling. This can also be taken for depression, stress, muscle spasm and tremors.